Welcome back to Portrait of a Reader - our monthly series where we delve into the reading lives of our customers, their stories, and book recommendations. 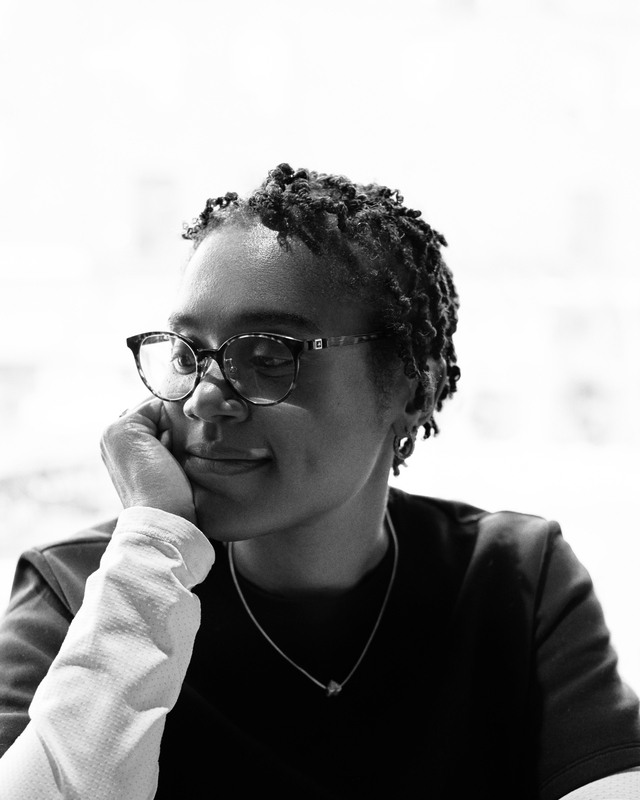 Meet Yovanka McBean - she's an avid runner, history buff, and a passionate reader - so much so, she told us she even occasionally reads while walking. We met up with Yovanka along the Don River Trail in Toronto and explored the area and her neighbourhood. When did you become a Kobo reader? Why did you try digital books in the first place? What is the biggest advantage of digital, in your opinion? To have re-reads on hand that aren’t in boxes or tucked away in storage, to feel limitless in my urges to read new things since the books won’t take up any physical space, and of course, borrowing eBooks from the library is awesome. What are your favourite kinds of books? I love urban fantasy, historical fiction, romance, thrillers, true crime, and the occasional biography. Also, anything that makes me laugh [Editor's note: Yovanka's laugh is infectious]. I recently re-read (for the third time) the All Souls trilogy by Deborah Harkness. The first season of “A Discovery of Witches” (TV series based on the trilogy) begins streaming this month! I’m bouncing between a couple of titles: Eleventh Grave in Moonlight by Darynda Jones and Wildest Dreams by Kristen Ashley. The Goldfinch by Donna Tartt is on the back burner right now. What would you recommend to someone who is in a reading rut? Download a funny novella, something light to brighten your mood. Or read something that’s set where you live (or have lived). It opens up a wealth of possibilities about places you’re familiar with. It helps turn my brain off of work and I like that my imagination is stoked by reading someone else’s writing. It’s hard to describe, but I believe that TV can sometimes take the wonder out of stories. I occasionally read before bed, but I usually read on transit and when travelling. I live in the city and choose not to own a car, so reading helps pass the time when getting around. What would we be surprised to see in your library? Some really trashy romance novels, even too trashy for me! How many books are in your Kobo library? Mysteries, true crime, Jane Austen, and Shakespeare. What is the most interesting thing you’ve learned from a book recently? That I definitely go through phases, and that even non-fiction has its own ‘slant’ to the facts. But I love how historical fiction can make you feel like you’re in the moment, while weaving a fictional tale through the threads of time. There’s never just one book. But there are a couple of classic CanLit titles that really stuck with me: The Diviners by Margaret Lawrence, Fall on Your Knees by Ann-Marie MacDonald and Whylah Falls by George Elliott Clarke. Want similar blog content? Read the first portrait in this series.